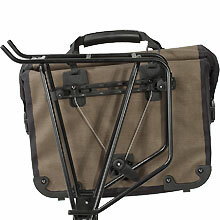 The QL mounting systems on ORTLIEB panniers allow fast and secure mounting on racks. 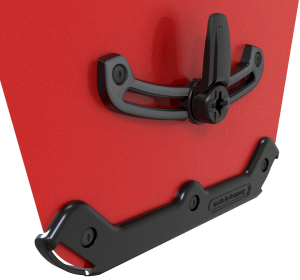 They are referred to as self-locking fixing systems, for the panniers provided with this system can be mounted to the racks in an easy and safe manner. In case of damage all components can be replaced easily. The QL1 System was ORTLIEB’s first mounting system for bike panniers which allowed a single-handed mounting on and removal of panniers from the bike rack. The automatically closing hooks replaced the complicated attachments with straps and buckles which were slow and unreliable. Thousands of the indestructible mounting QL1 system have now been used for decades on classic pannier models such as Back-Rollers and Bike-Packers, and are still in use. Automatic closing and opening of hooks by lifting the pannier handle. When the pannier is lifted by the handle, the two hooks on the reverse side are opened. Then the pannier can be hooked into the rack. Once you let go of the handle, the two hooks close around the rack tube. The QL1 hook system is adjustable using various inserts allowing compatible mounting on standard racks with an outside diameter of 8 -16 mm. The upper QL1 hooks can be reduced in size by inserting reduction parts into the hooks for 8mm or 11mm. The hook then closes perfectly around the rack tube and securely holds the pannier in its position. The hooks may be adjusted easily to the distance required and tightened in position with allen key size 3 (not included). Fixation of the lower section of the pannier is just as important as mounting in the top section in order to prevent the pannier from sliding and pivoting. The lower fixing hook serves for this purpose; it fixes the pannier to a vertical tube of the rack and secures it in the lower pannier area. The hook can be mounted to the lower or upper part of the elliptical rail, and can be changed fast in order to adapt it to all the different rack heights. Continuous adjustability of the lower hook, horizontally and vertically on the elliptical rail, rotation in 15° steps. The two models Front-Roller Classic and Sport-Packer Classic are provided with an abrasion protection underneath the lower hook rail. It prevents damage to the pannier material caused by front quick release axles, in case the pannier is mounted to a lowrider rack on the front wheel. 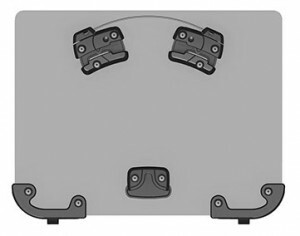 This mounting system for bike panniers is the further development of ORTLIEB’s milestone setting QL1 system· All hooks are adjustable to the rack without requiring any tools· Therefore, the panniers can be easily switched from one bike to another. The QL2 system may be upgraded with the anti-theft device (not possible in QL1). 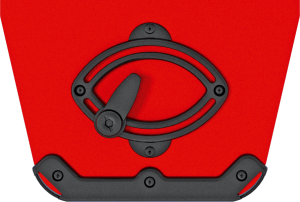 The QL hooks can be adjusted along the mounting rail; this is necessary, because every rack requires an individual hook positioning in order to achieve an optimal fixation of the pannier. The mounting components can be adjusted to the individual rack without requiring any tools. The QL2 hook system can be used for racks with a tube diameter between 8 and 16mm by using differently sized hook inserts. 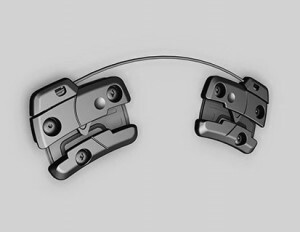 The upper QL2 hooks can be reduced in size by inserting reduction parts into the hooks for 8mm or 10mm. The hook then closes perfectly around the rack tube and securely holds the pannier in its position. All panniers can be used on the left or right side of the rack. Our models Office-Bag and Downtown have one particular feature: ex works it is provided for transport on the left side of the bike (in driving direction). 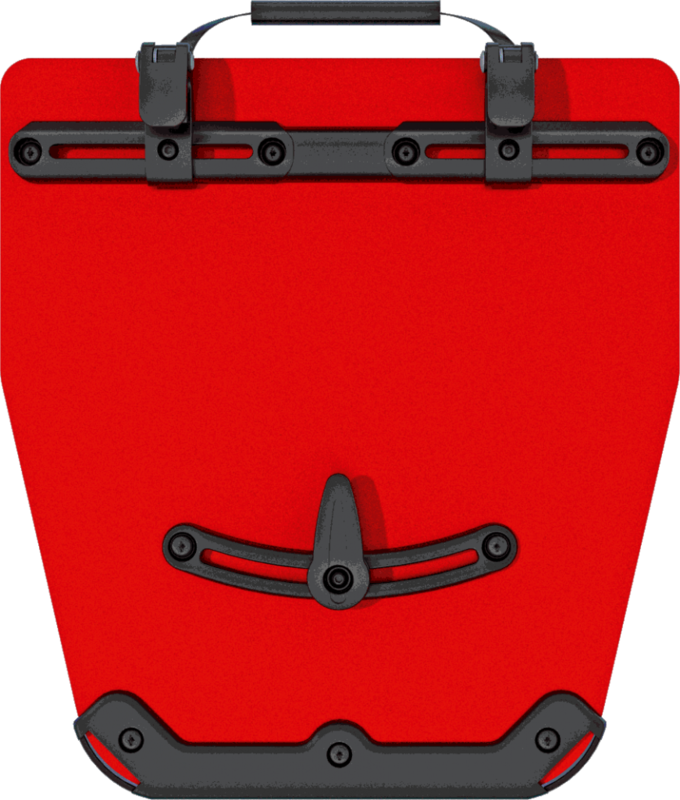 However, the Office-Bag is provided with a particular fixation which allows changing it to the right side (in driving direction) by tilting the upper mounting rail. Fixation of the lower section of the pannier is just as important as mounting in the top section in order to prevent the pannier from sliding and pivoting. The lower fixing hook serves for this purpose; it fixes the pannier to a vertical tube of the rack and secures it in the lower pannier area. The hook can be mounted to the lower or upper part of the elliptical rail, and can be changed fast in order to adapt it to all the different rack heights. Continuous adjustability of the lower hook, horizontally and vertically on the elliptical rail, rotation in 45° steps. The two models Front-Roller Plus and Sport-Packer Plus are provided with an abrasion protection underneath the elliptical lower hook rail. It prevents damage to the pannier material caused by front quick release axles, in case the pannier is mounted to a lowrider rack on the front wheel. 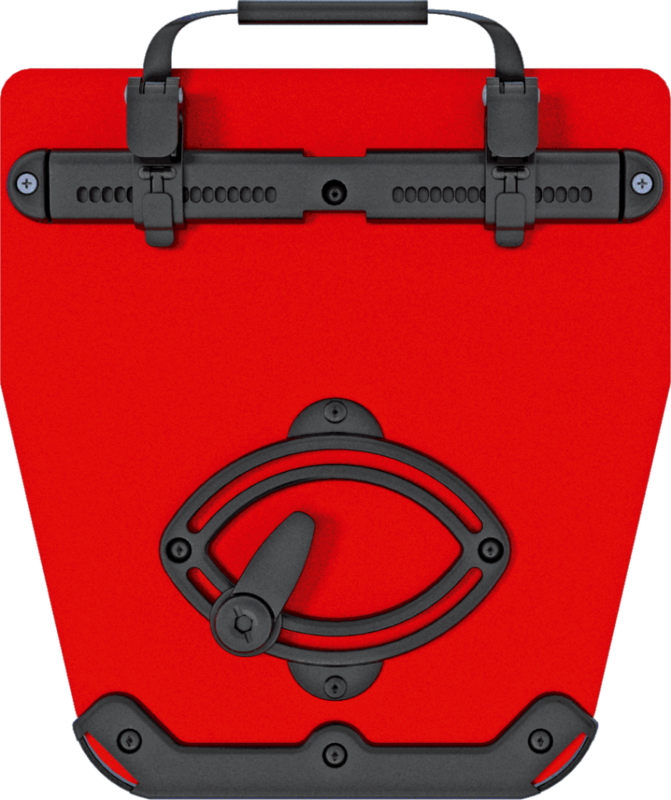 The pannier mounting system QL2.1 is based on the proven QL2 system, however, several decisive features were considerably improved, especially with regards to racks currently on the market. 16 mm QL hooks with inserts which have an „Anti-Scratch“ function for 8, 10 and 12 mm (size 12 mm e.g. required for Racktime racks). In QL2.1, the reductions inserts are now attached from the sides and secured against loss. 20 mm QL hooks are optionally available for racks with larger diameters (17-20 mm) as often used on E-bikes. The upper mounting rail consists of one piece for higher stability. With models Office-Bag and Downtown it can be adjusted to the left or right side of the bike rack. 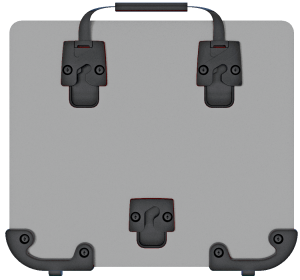 The assembly system allows the use of extremely flat nuts on the inner side thus featuring a level surface and avoiding damage to whatever you bring along. Optional upgrade with anti-theft device into the upper rail. The lower hook rail is made of a two-component synthetic combination with „Anti-Scratch“ function. 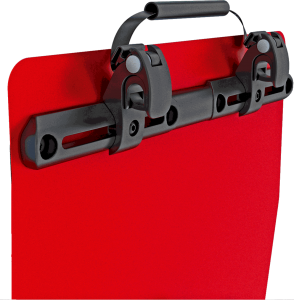 This reduces abrasions on the carrier and prevents damage to the rack tubing. 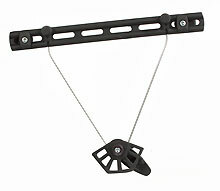 The lower hook is rotatable in 15° steps and adjustable in height. 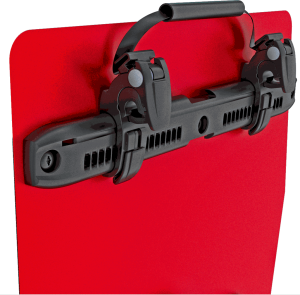 All hooks are adjustable to the rack without requiring any tools and can be easily exchanged. 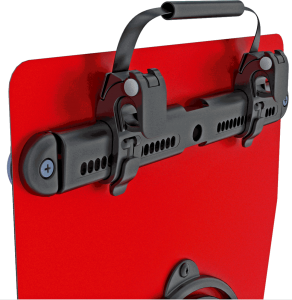 The QL3 system is especially developed for office and city bags an its secret lies in the fact that the main mounting components stay on the rack. This results in a clear rear side that is free of protruding hooks, and significantly improves the bag’s carrying comfort when off the bike. The QL3 system has all the known advantages of the previous ORTLIEB QL systems. + Horizontal rack top remains free for baskets, trunkbags etc. These systems are especially developed for office and city bags, and their secret lies in the fact that the main mounting components remain on the rack. This results in a smooth rear side of the bag that is free of protruding hooks, and significantly improves the bag’s carrying comfort when off the bike. 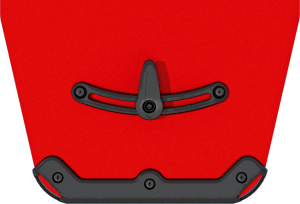 The optimized QL3.1 mounting system allows fixing of panniers to the rack in an even more simple and faster way. 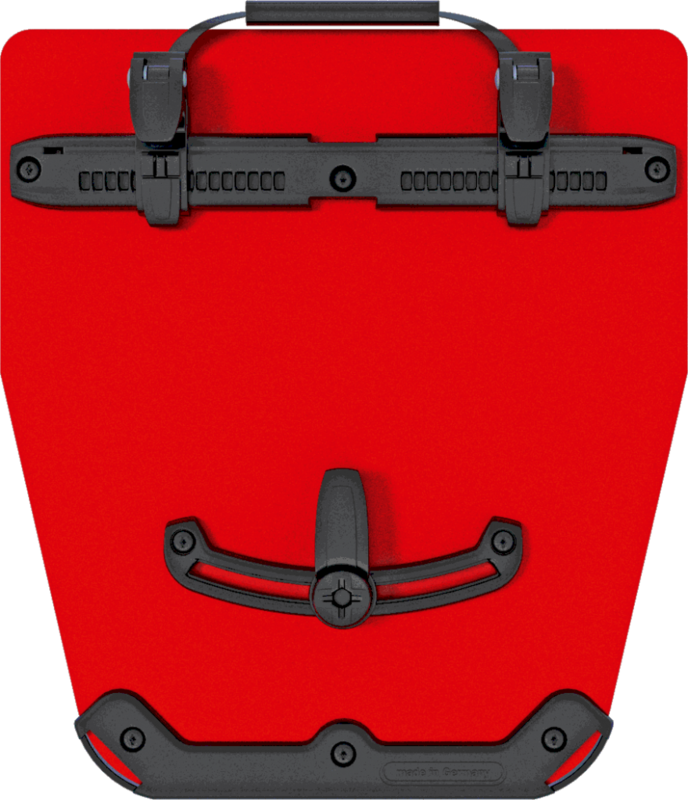 The bag is inserted into the lower moun­ting point, and by approaching the rack, the top hooks slide into the upper reception points by means of a left to right motion. Removal of the bag is just as simple and fast: simply litt the bag by its handle and move it at the same time to the left or right.